Your body and heart are interconnected, eliminate fatigue and you feel better mentally. Here at Toho-Massage we aim to ease your stress and help make every day more healthy and relaxing. We know that each and every customer is unique, so every day we work hard to improve out techniques, allowing us to cater each treatment to your individual needs. All prices include sales tax, in the case of our Motomachi Chukagai (Yokohama) Salon, 15 minute courses are available. 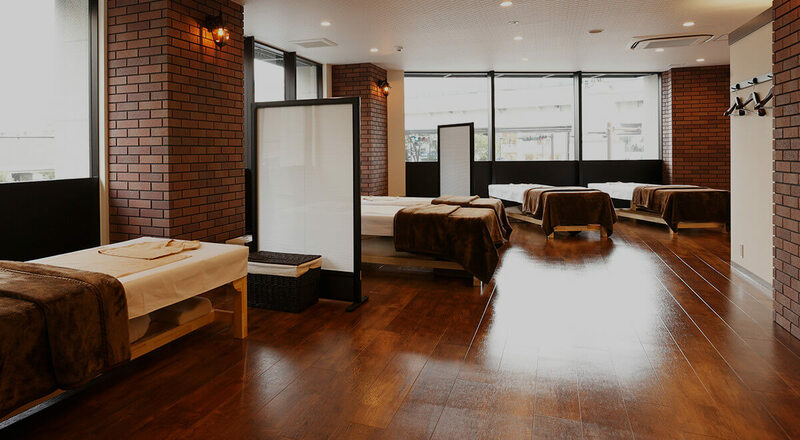 As our Shinbashi Salon offers only private massage rooms, prices at this salon vary from the list above, please click here for detailed information. Our therapists can do shiatsu and anma based massages, as well as stretching routines to aid body flexibility. Our courses are all “customer focused,” based both on your condition and the treatment you request. So whether it’s a high-pressure massage for stiff shoulders, or a more soft, low pressure complete body massage, we can do it. Here at Toho-Massage, what you ask for is what you get. You can reserve your preferred therapist at no extra cost, we also provide loose-fitting clothes free of charge to make your massage experience a comfortable one. Our Naka Meguro, Yokohama Chukagai, Gotanda Nishi Guchi (West Exit) and Gotanda Higashi Guchi (East Exit) therapists can go to your home or office (no transportation charges,) contact us directly for details.  Toho Massage Group has been in business for 20 years, we have 8 salons in Tokyo and Kanagawa, all of which are near major train stations. 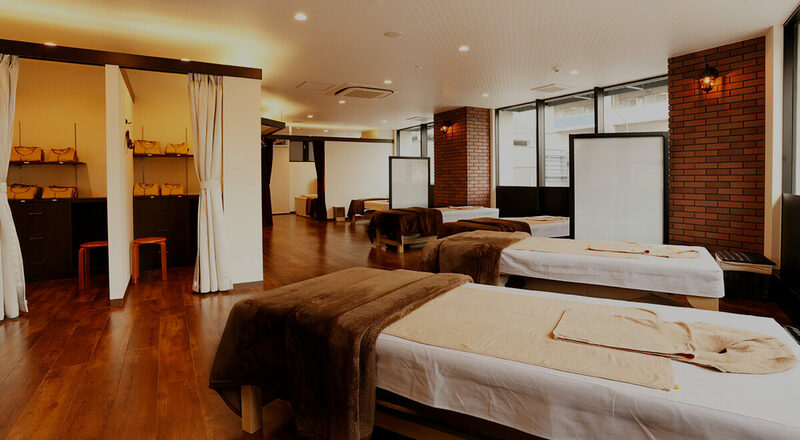 The basic charge is 2,800 yen (including tax) for a 30 minute treatment. 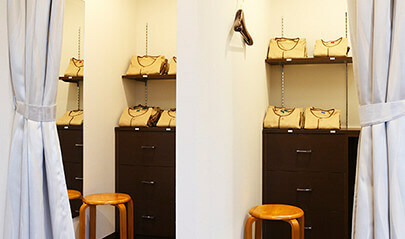 1.It’s best to make a reservation by phone, we kindly request that clients arrive 5 minutes before appointment time. First time customers are asked to fill out simple “medical check” sheet, to help the therapist best meet their needs. 2.We kindly request advance payment, point card and discount coupons should be presented at this time. All major credit cards are accepted. 3. To help clients relax, and get the most from their treatment, loose fitting clothing is available free of charge. All of our salons have changing areas, and to maintain the highest hygienic standards all used clothes are used only once and then cleaned. Clients wanting to use their own clothes please tell the staff. 4. Based on the information provided, the therapist will first confirm the client’s condition and symptoms, and then perform a basic, “hands-on” examination. 6. After your treatment, you can enjoy mineral water or our highly regarded plum tea in our waiting area; if you have time we’d appreciate your filling out a “service-survey” to help us serve you better. Thanks for choosing us! Our highly skilled therapists deliver quality, first-class treatments tailored to meet your needs. Conveniently located near major railway stations,clear rates. All of our salons are located near major railway stations, treatment prices are clearly displayed to help customers relax and enjoy their treatment. We are open for 18 hours each and every day, allowing you to find a time to suit your busy schedule. 90% of clients are "repeat clients"
90% of our clients are “repeaters;” that’s what we want, and we aim to keep it that way. Copyright © 2019 株式会社東邦 All rights reserved.